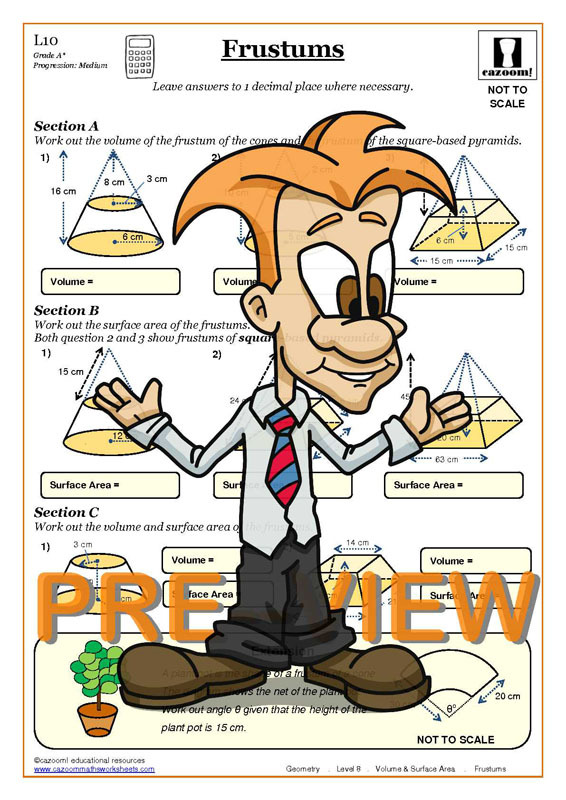 Our volume and surface area worksheets are designed for KS3 and KS4 students, and cover everything your pupil or child needs to know to conquer the topics. 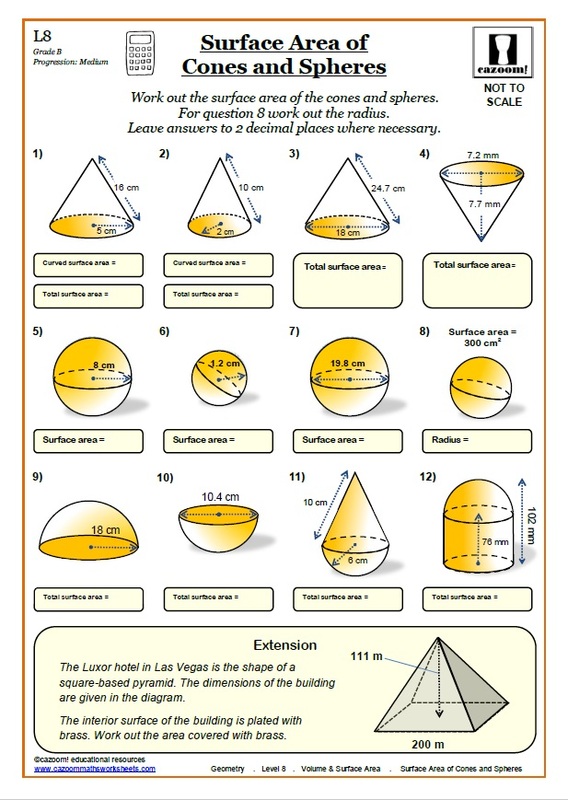 We have fun and challenging maths worksheets on topics from the surface area of a cuboid, to the volume of a sphere, through to the volume of frustrums worksheet at the higher levels. 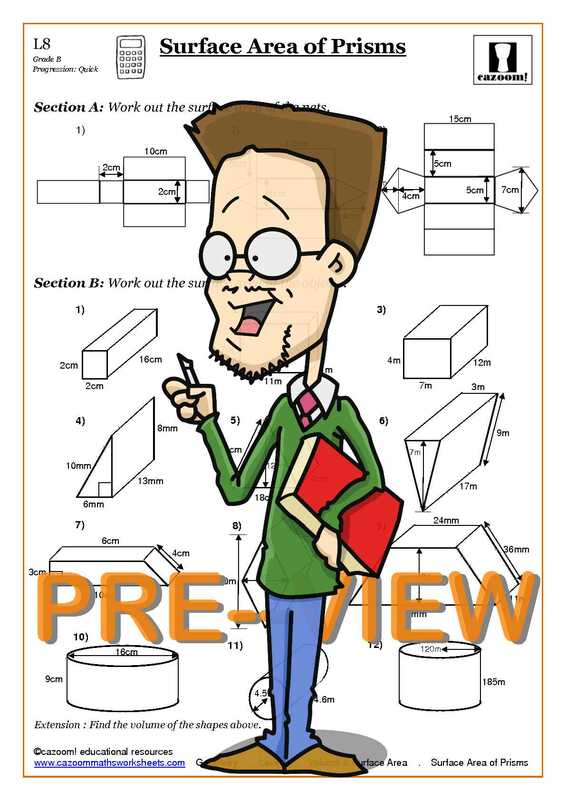 We have a great range of printable pdf worksheets that will challenge students of all abilities. 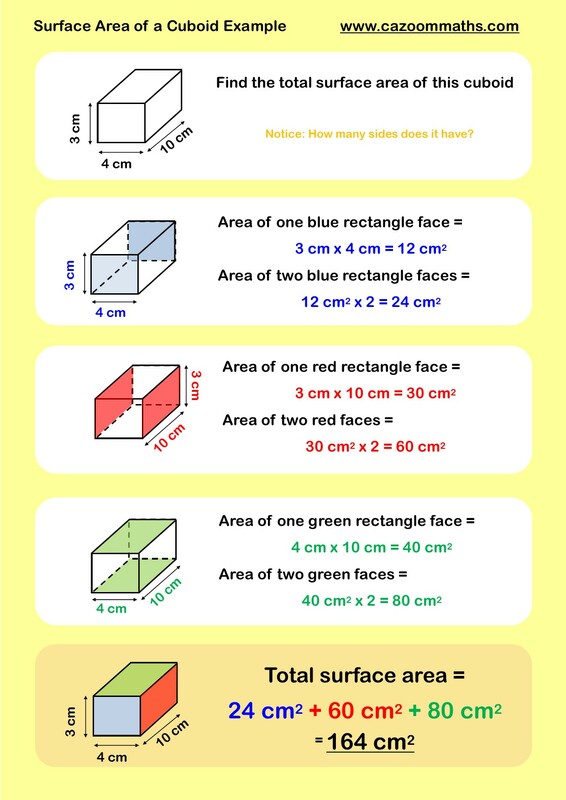 All volume and surface area worksheets are supplied with answers to ensure you can easily assess how well each student is progressing and identify any areas for revision. 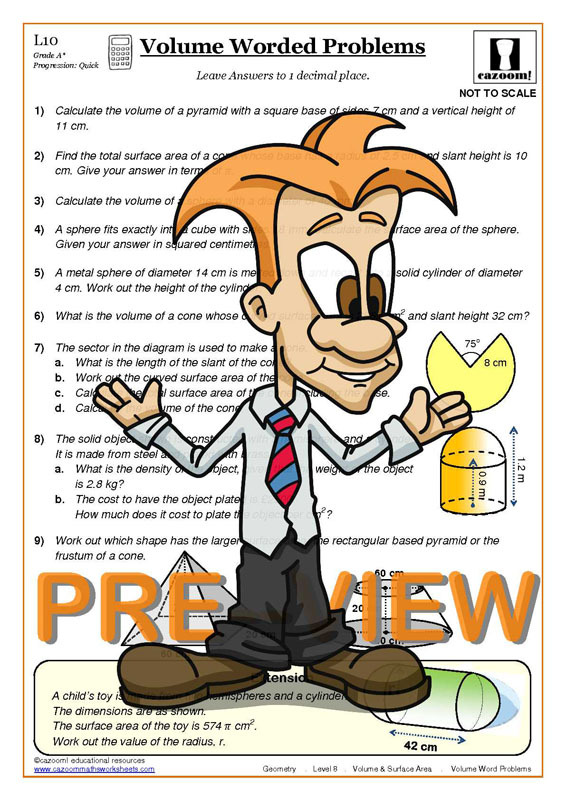 Volume and surface area can be a fun and practical topic and so make it enjoyable for your students by using Cazoom Maths worksheets. 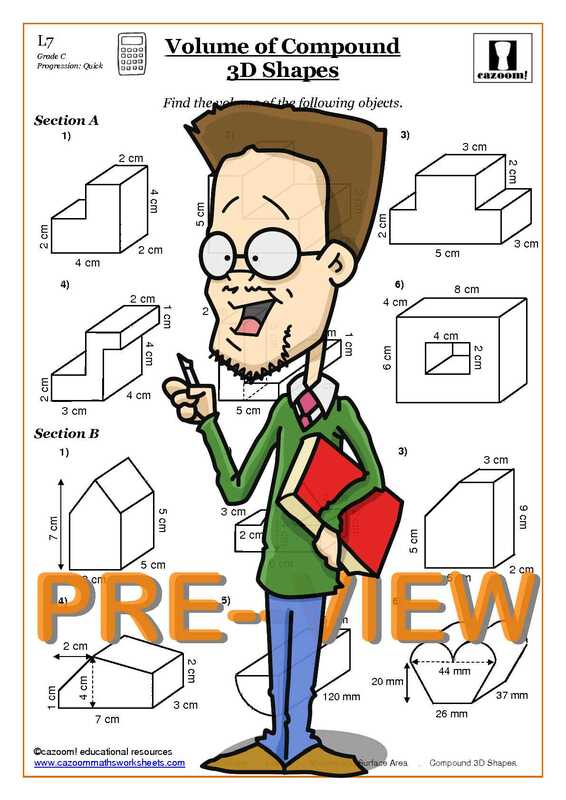 Mastering volume and surface area calculations is a necessary skill for many different careers and activities. 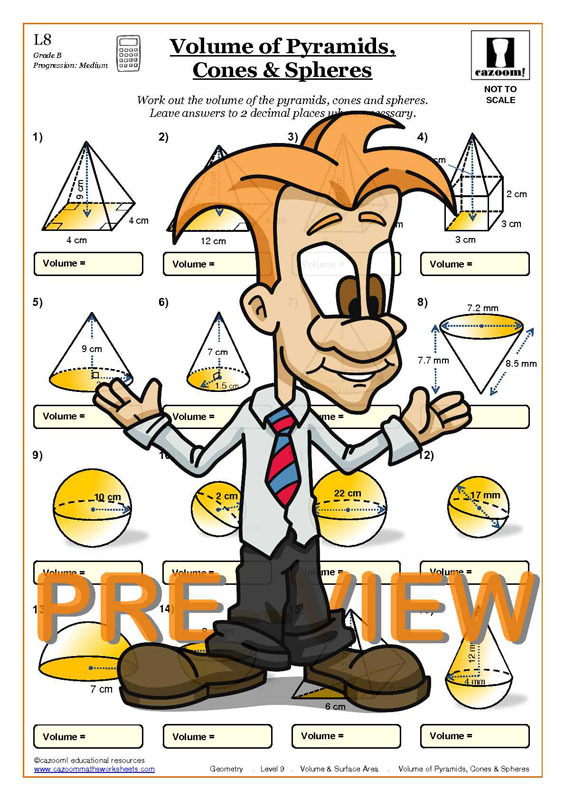 In engineering, volume and area are very important. 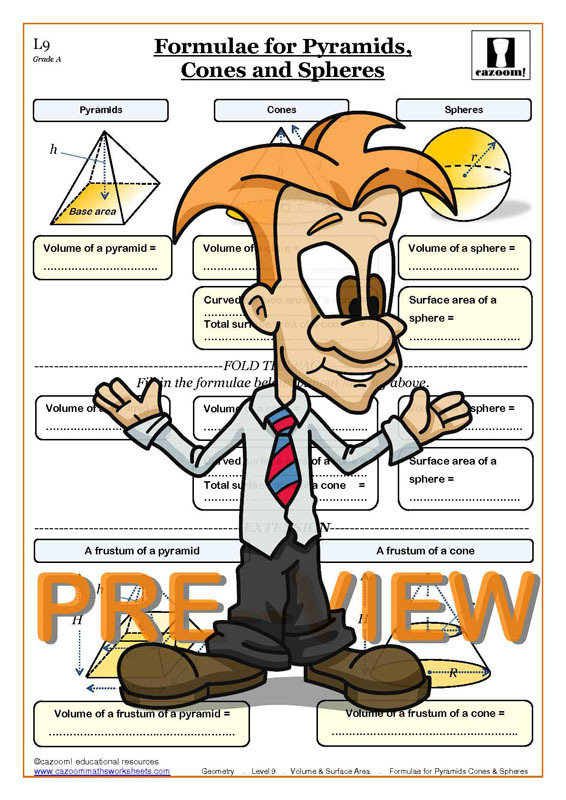 Without volume, you can't figure out key calculations like density, for example. 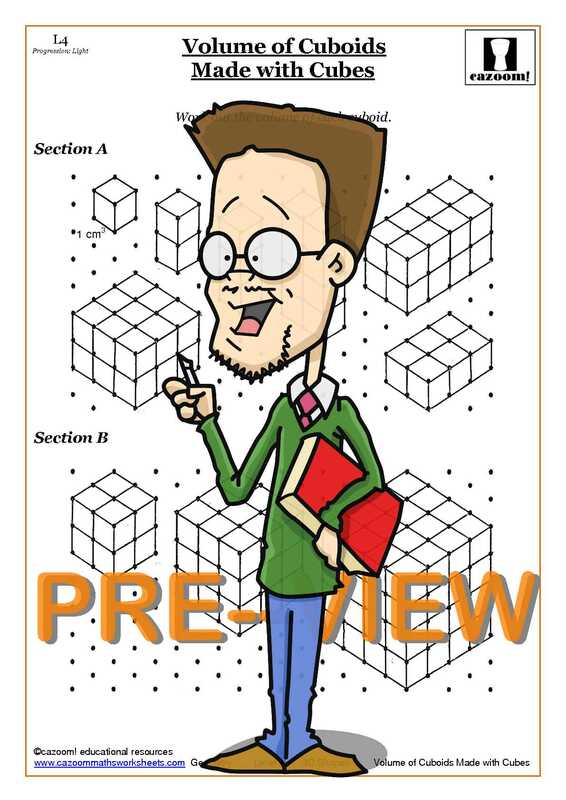 If you are shipping goods, and you want to know how many boxes with fit inside a container then you need to know the volume and surface area of the items involved. 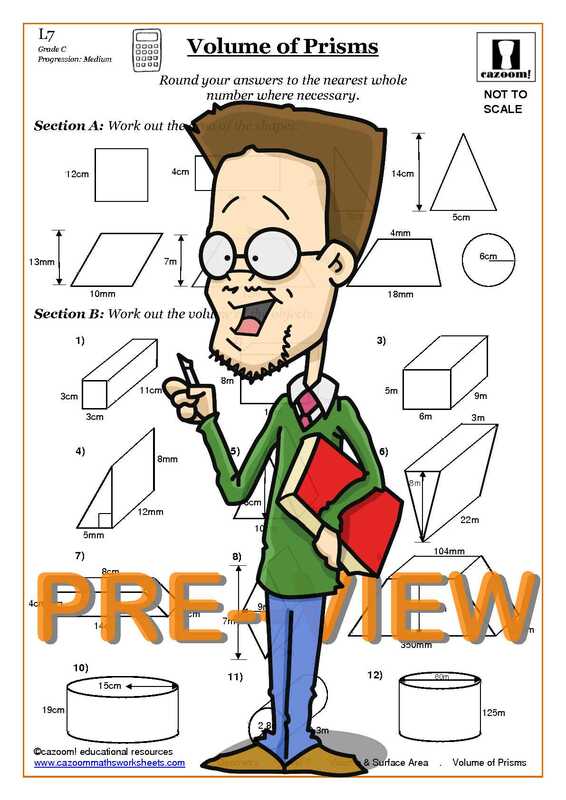 Surface area is even important in biology, where certain biological structures often try to maximize their surface area! 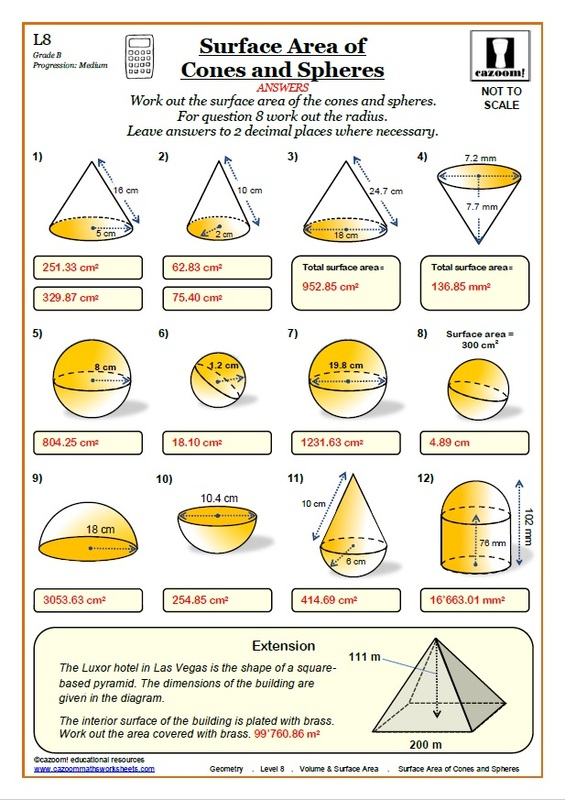 The applications of volume and surface area are endless. 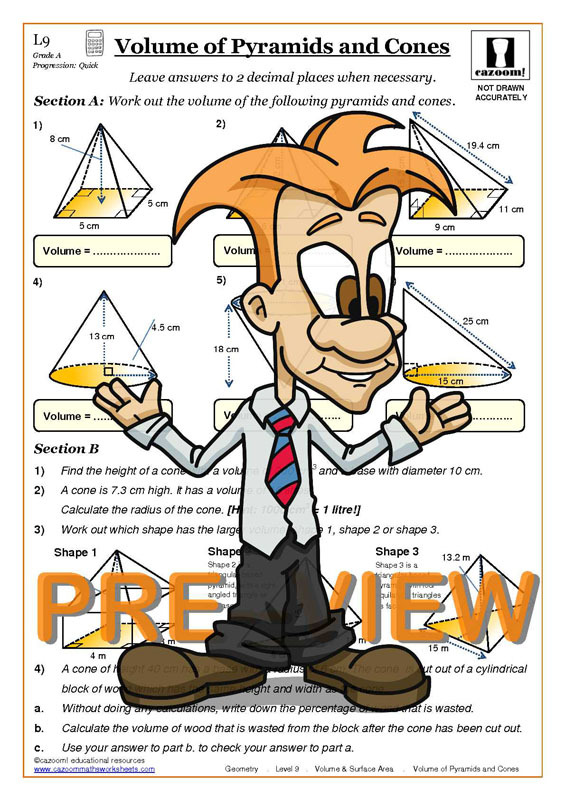 Use our maths worksheets to master calculations such as the volume of a cylinder and the volume and surface area of other 3D shapes. 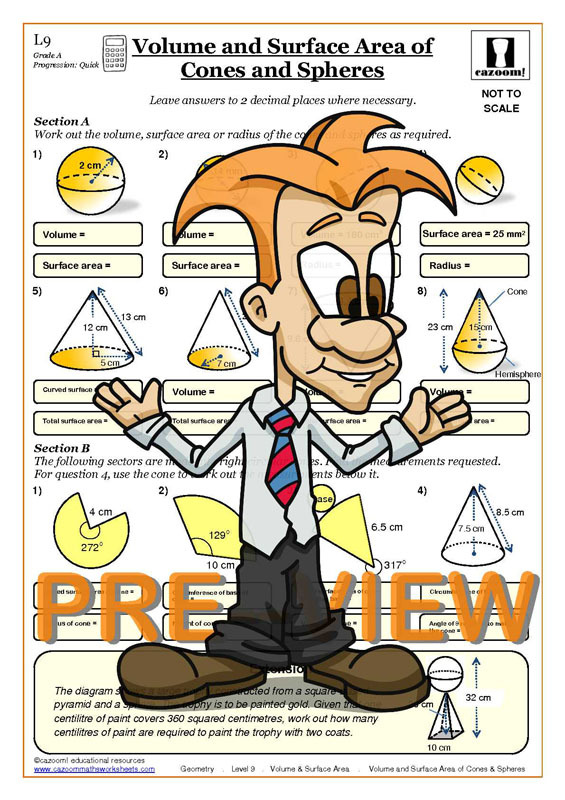 Volume and Surface area is a section of algebra that runs right the way through Key Stage 3 and Key Stage 4. 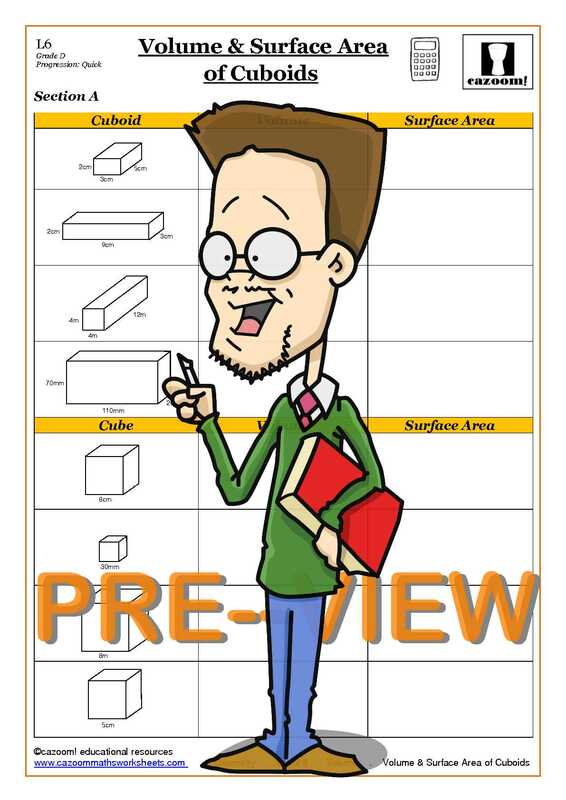 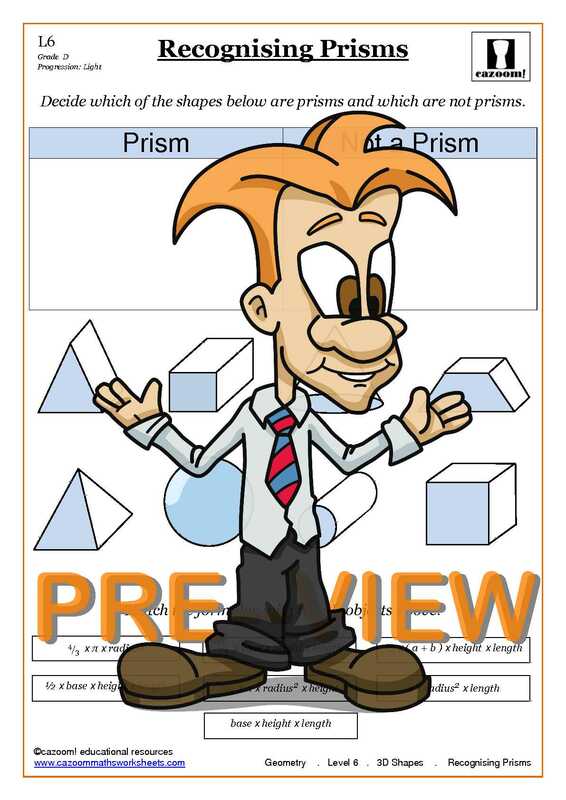 Year 7 students will find resources such as our volume of cuboids worksheet or our recognising prisms worksheet very relevant. 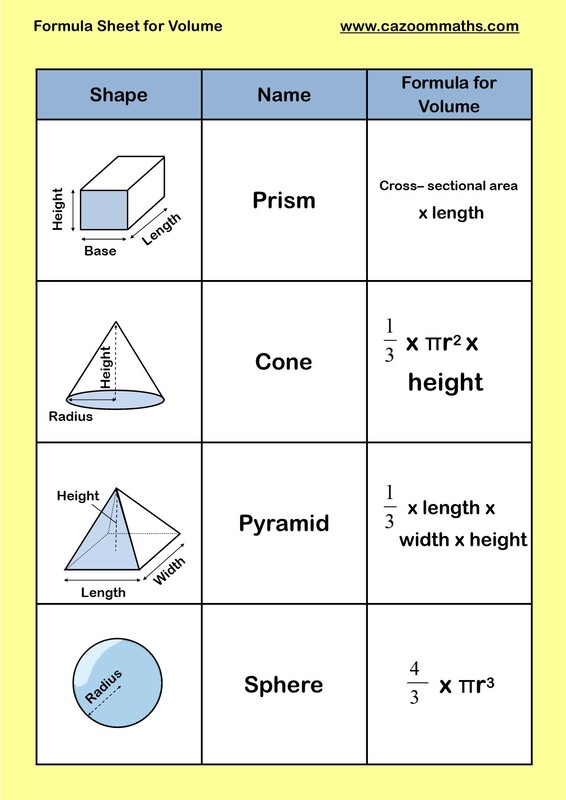 Students in year 11 on the other hand will need to make use of our volume of pyramids and cones worksheet and our volume of frustrums worksheet. 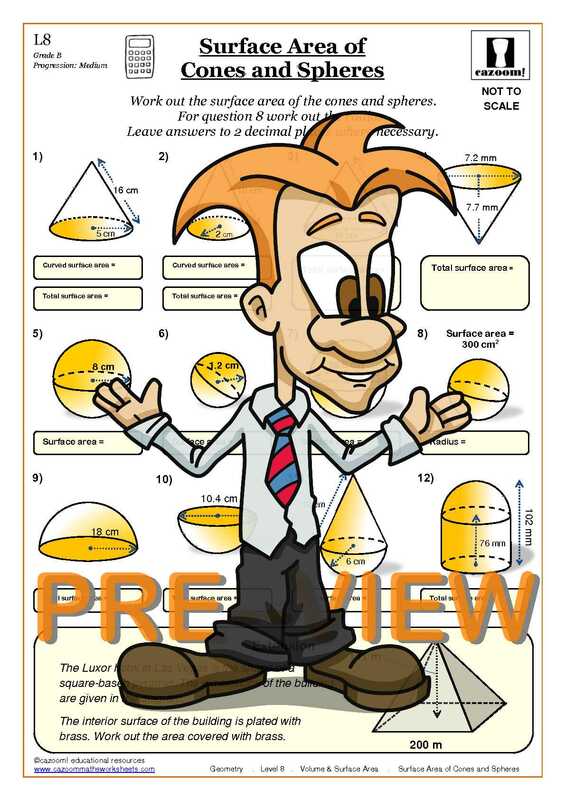 We have a volume and surface area worksheet for students at all levels of their KS3 and KS4 studies.